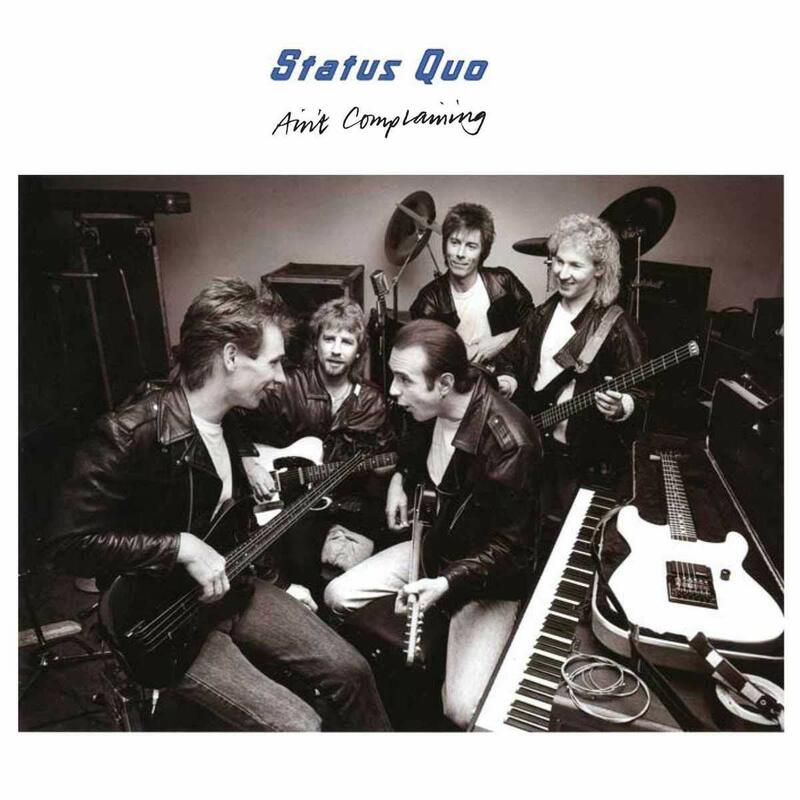 Universal Music will issue a three-CD deluxe edition of Status Quo‘s 1988 album Ain’t Complaining. The band’s 18th studio album delivered three UK top 40 hits – Burning Bridges, the title track and Who Gets The Love – and non-album charity single Running All Over The World reached number 17 shortly after. This new triple-CD deluxe delivers a bonus disc of B-sides and extended versions (including the single and 12-inch version of Running All Over The World) and a CD of tracks performed Live at Wembley in July ’88. All the discs have been remastered by Andy Pearce (“from original tapes where available”) and Dave Ling contributes sleeve notes (with band interviews).